ZIMBABWE – Some of Zimbabwe’s major public hospitals are so poorly stocked they cannot even provide cotton wool or basic painkillers, ZBC reported this week. ZBC said four major hospitals — Harare Central, Parirenyatwa, United Bulawayo Hospitals, and Mpilo Central — had critical shortages of drugs. 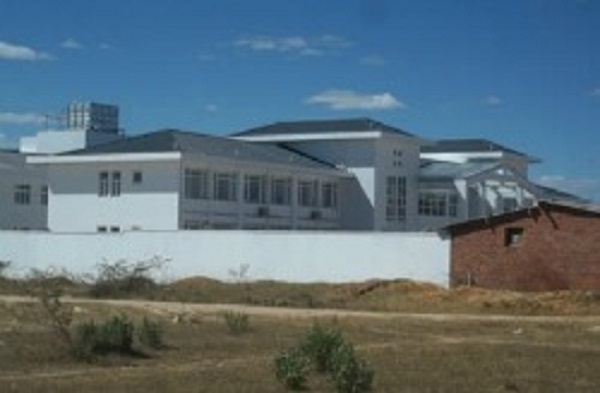 Parirenyatwa Hospital is in Harare and Mpilo Central in Bulawayo. Mpilo Central “has below 50 percent of its requirements”, ZBC said. Patients were being handed prescriptions but had to go elsewhere to source drugs. Previously drugs were dispensed from the hospitals’ pharmacies. The news would bring back memories of Zimbabwe’s 2000-2008 economic crisis, when hospitals and clinics ran desperately short of basic drugs, bandages, and equipment. The sector had been slowly sinking back into crisis, with reports last August of critical shortages of drugs at public health institutions for cancer, psychiatric, and epileptic patients. Unusually, ZBC carried a separate report blaming President Robert Mugabe’s government for the latest drug shortages. It said the local pharmaceutical industry was only operating at 20 to 30% capacity because of a lack of government investment. The state broadcaster is rarely critical of the ruling Zanu-PF or the government. Private pharmacies and doctors sometimes offer a better service. But for the many Zimbabweans living on an average monthly salary of $300, if they were lucky enough to be employed, the private sector was not an option. It was reported last October that cash-strapped Zimbabweans from the east of the country preferred to cross the border into Mozambique and seek medical treatment in government hospitals there, where it was cheaper. Parirenyatwa Hospital, named after the father of current health minister David Parirenyatwa, would soon offer heart surgery again after a 12-year hiatus, the state media reported last week. A team of doctors at the hospital aimed to perform 150 open heart surgeries in Zimbabwe this year. Because heart patients from Zimbabwe had until now had to travel to private hospitals in India and South Africa for treatment, it was hoped local surgery would prove less expensive.